Dulce et decorum est, pro Ipsos MORI? Hello, I’m calling from Ipsos MORI. Could I take five minutes of your time to ask some questions? I’ll ask the questions, sir. (I like to imagine that the pollster said that. He didn’t, of course.) How would you vote if there were a General Election tomorrow? I’m not happy to answer that question. OK, no problem. Next question: which party do you think is best-placed to run the government? Well, neglecting the bizarre and oft-overlooked conflation of individual candidates and local issues with national representation in the British electoral system, it is. Do people seriously answer this question having declined to answer the first? So you’re not happy to answer that one either? OK…next question. Actually, I’ll skip that one. Right: how do you think David Cameron is doing as Prime Minister? Do you mean is he governing the country well? Do you mean do I agree with his political priorities? Or are you asking whether I think he is performing well as an operative within the constraints of the system he inhabits? Should he be considered relative to other plausible candidates, with respect to the best possible human in that position, or in some wider, absolute sense? And what kind of criteria could I judge any of those by anyway? And, given normal proclivities, can we really hope that answers to this question will reflect anything other than political leanings boiled down to party preferences anyway? Basically, I just want to know what you think about David Cameron. OK. What are my options? That he’s doing ‘well’, or ‘not well’. Which of those do you think most satisfactorily encompasses my unease with the framework within which this question is posed? I think we’d better skip that question. How do you think Ed Miliband is doing as the Labour leader? That he’s not doing well? OK. How do you think Nick Clegg is doing as Liberal Democrat leader? OK, I’ll bite this time. He’s doing a terrible job. Under all possible situational and philosophical interpretations of ‘terrible’. Psyche. Of course not. I can’t answer that question. OK. Well, I must ask you how you think Nigel Farage is doing as leader of UKIP. [sigh] Well, I think he’s doing quite well at fulfilling the role of leader in a lunatic fringe party, but more broadly, is it a good thing that he exists? Is he a sufficient figure of ridicule as to improve the lot of more sensible politicians or, if he is regarded positively, will the effect his party has on our unstable electoral system split constituency votes in a way which is positive or negative overall, in a non-partisan sense? He’s certainly getting more media coverage these days. So you think he’s doing quite well? You think he’s doing quite well at that? Er, I mean, I suppose he is doing a good job of being UKIP leader. OK. Which party leader do you think finds it easier to control their party members? I’m not even sure if that’s a good thing for them to do. Am I allowed to comment on that? Er, no. The question stands. Well, I guess Nigel Farage has the smallest party, so by dint of numbers, maybe it’s him. But then he also probably has the nuttiest members most likely to fly off the handle and blame homosexuality for bad weather, so it’s swings and roundabouts really. OK, great, you think Nigel Farage is best at controlling his party. Do you think Scottish independence would be good, bad, or neither for England? I don’t even have a concept of what the relevant criteria are in terms of how to judge the effect of an independent Scotland on the other nations in the UK. Do you mean socially, economically, culturally? What kind of independence? And over what timescale? And how can I possibly condense this highly multivariate set of potential consequences onto a discrete, three-point scale of goodness running from -1 to +1? So that’s a don’t know? You mean it’s a don’t know, or you don’t know? Great. Same question for Wales. Listen, I’m tired of listening to myself. Can we just skip these? OK. Next question: do you think that the general economic condition of the country will improve, stay the same, or get worse over the next 12 months? So is that a don’t know? How satisfied are you with the way the government is handling the economy? From 1, highly dissatisfied, to 5, highly satisfied? I can’t really have an opinion on that, for the above reasons. I don’t know. How satisfied are you with the way in which the government is handling immigration? That’s easy. I’m highly dissatisfied. Setting an arbitrary target of getting immigration below 100,000 by 2015 is economically and socially incoherent populist trash for which the case simply hasn’t been made. OK, that’s the end of our questions. Thank you. 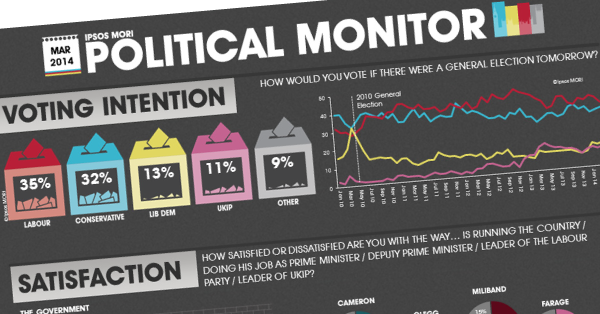 Would you be happy to be contacted again for further polling? And so, that was that. But after hanging up the phone, I realised: in between the philosophical crises, acknowledgements of the limitations of human foresight and unwillingness to incriminate myself, the only opinions that I’d managed to register were that Nigel Farage is doing a good job, and that I’m highly dissatisfied with the way the government is handling immigration policy. Er. Oops. Despite my very vocal misgivings about the lack of subtlety implicit in surveys with nuance-stifling formats, I’d ironically cast myself as a nationalist loon, snagged in the jaws of binary box-ticking. And, if that isn’t proof that we should give a wholehearted ‘highly dissatisfied’ to polling as a meaningful barometer of public opinion, I don’t know what is.